December 5th, 2012 - Sharepoint and Access - building hybrid applications presentation by David Ocampo. September 27th, 2012 - CAUG and Office 365, with Sharepoint Online presentation by David Ocampo. May 24th, 2012 - Using Access to automatically fill-in PDF forms - by Frank Kobes. 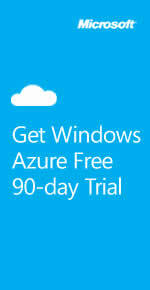 April 26th, 2012 - Windows 8 Preview for Access Developers - by Kevin Anderson. 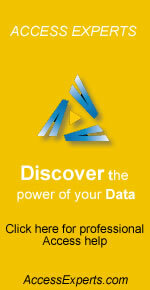 February 23rd, 2012 - Access Tidbits - flexible queries, trial periods, and more, by Robert Aaron. September 23rd, 2010 - New Web Features for Access 2010 with Sharepoint 2010. April 22nd, 2010 - Access Web Resources Roundtable, By Kevin Anderson and Juan Soto. March 25th, 2010 - Access Web Pain - Lessons Learned, By Albert Kallal. February 25th, 2010 - Access 2007 new features tips - a presentation by Chris Monaghan. January 28th, 2010 -Help! I think I need Access. October 22nd, 2009 - Leverage SQL Server to create internet ready Access Applications, by Juan Soto. March 27th, 2003 - .NET - PROGRAMMING WINDOWS FORMS FOR ACCESS DATABASES. December 12th, 2002 - Introduction to XML in the .NET Framework. Presented by Martha Murray of IMG. March 28th, 2002 - Introduction to Access Data Projects by Jim Bone, The Bone Group, Inc.
February 28th, 2002 - Four Powerful Access Development Techniques. May 24th, 2001 - Consulting roundtable. April 25th, 2001 - Ken Getz presented on the features of Access XP. March 22nd, 2001 - CAUG Show and Tell. February 22nd, 2001 - Ahmar Mohammad presented a preview of Access 2002, part of the forthcoming Office XP release. January 25th, 2001 - Interfacing Access with Handheld Devices (PALM) by Whil Hentzen. December 7th, 2000 - Access Development Techniques with Mary Sue Honigschmidt of RED Consulting. October 26th, 2000 - Using Unbound Forms and XML with Microsoft Access by Chris Hoffman. September 28th, 2000 - CAUG Show and Tell. May 23rd, 2000 - VBA Optimization by Ken Getz. April 27th, 2000 - Client/Server using Access 2000. March 23rd, 2000 - CAUG Show and Tell. November 18th, 1999 - Put your Access database on the web by Chris Monaghan of Business Data Designs. October 28th, 1999 - Exploring the MSDE by Noel Bruns of Ablesoft Solutions. September 23rd, 1999 - Access 2000 presentation by Tom Pizzatto of Microsoft.